“I am sixty years now and the reason why I decided to go to school at this age is because I perpetually feel the pain of being an illiterate in this modern world where everything has to do with English and education. My mother died during childbirth when I was a little boy, while my father was a hunter. I was raised by a grandmother after the death of my mother and later taken to a step-mother when my father remarried. “I went through discomfort and hardship from my tender age to adulthood. It would interest you to know that I was so tender at the time my mother died that I was crying for food while she laid dead. I went through struggles all through my life. 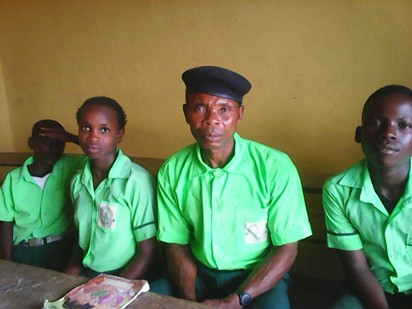 I was opportune to go to school at my young age, when a relative, who was a magistrate at Ekeremor in Bayelsa State, took me to his house, but because of early morning beatings due to my failure to greet him when rising from bed, I fled back to my father. 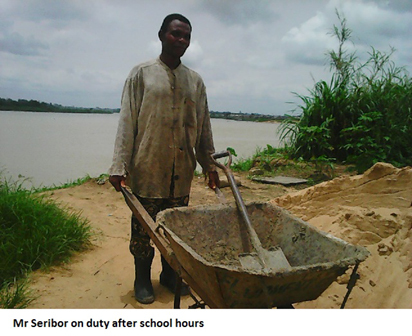 I had no opportunity to go to school since then, and continued doing menial jobs to survive, which I am still doing.